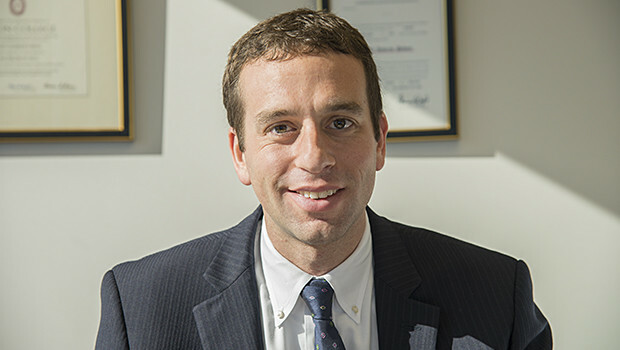 Keith Pabian is the Founding Partner of Pabian Law, LLC. Keith is an experienced immigration lawyer who represents companies, organizations, seasonal businesses, universities, non-profits, individuals, and professional sports leagues and franchises to procure temporary visas, work authorization, lawful permanent residency (green cards), citizenship, and other immigration benefits in the United States. Keith’s clients include Fortune 500 companies, multinational corporations, U.S. businesses, and entities that are new to the United States. Keith is known nationally for his specialization in representing seasonal businesses headquartered coast to coast in diverse fields such as hospitality, private clubs, dining, youth and professional sports, construction, machinery, manufacturing and other industries. Keith focuses on guiding seasonal businesses in all immigration aspects of the seasonal business, from defining the period of seasonality through the consulate and embassy process. Keith has also developed a unique specialization in representing sports leagues, franchises, and athletes in visa and immigration matters. Keith consults with numerous sports leagues on visa and immigration issues. He represents over a hundred sports teams from around the world and works with professional athletes, including Olympians and World Champions, to procure U.S. Lawful Permanent Residency (Green Cards). In addition to U.S. immigration law, Keith provides immigration assistance to multinational corporations sending employees to offices outside of the United States. Through a global network of immigration lawyers, he works with many clients to relocate existing and new employees in over a hundred countries worldwide. Keith additionally consults, counsels, and trains business clients on properly completing the I-9 process, with establishing best practices for complying with immigration laws, with layoffs and reductions in force, and with other issues that arise when hiring foreign personnel. He also works with numerous individuals and families to successfully petition for visas and green cards. He represents clients before U.S. Citizenship & Immigration Services, the U.S. Department of State, and at Consulates and Embassies around the world. Keith and his firm are proud Partners of Medical Legal Partnership-Boston (MLP), through which Pabian Law, LLC provides pro bono representation to Boston Medical Center and Dana Farber Cancer Institute patients and families on visa and immigration matters. Keith is an active member of the American Immigration Lawyers’ Association (AILA). Keith is a frequent speaker on corporate immigration seminars around the country. He also regularly speaks to General Managers and executives from several professional sports leagues at annual meetings. He additionally speaks regularly to organizations and individuals representing the private club and hospitality fields. Keith has authored articles that have appeared in noteworthy publications such as SportsBusiness Journal and the Phoenix Business Journal. Keith first became interested in immigration law when he traveled to China to study Chinese and teach English. Keith started his legal career as a Paralegal and Law Clerk at immigration law firms in Philadelphia, Pennsylvania. Keith can be found outside of work spending time with his wife and two sons. His hobbies include running, biking, and swimming. Keith can be reached at keith@pabianlaw.com or (617) 939-9444.